1994 21 years ago the Embassy of the Republic of Kazakhstan was officially opened in Bishkek. 1. The subjects of privatization are the buyer, the seller and the competent government agency to implement the privatization. 3. The buyer is a private person, non-governmental entity or a foreign legal entity acquiring property in the privatization process. With the participation of several persons on the buyer's side, they act jointly. 4. 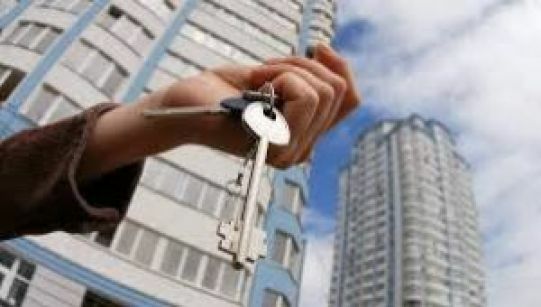 In the privatization process, the buyers cannot be the legal entities, which, in accordance with the legislative acts of the Republic of Kazakhstan or the constituent documents, shall not engage in those activities, the implementation of which is a condition of the sale of the objects of privatization. 5. Upon the sale of state-owned shareholding, the buyer corporation cannot acquire more than 25 percent of the company's shares, if the company holds the shares of the buyer. 6. The seller is entitled to involve an intermediary in order to organize the process of privatization. 21 years ago the Embassy of the Republic of Kazakhstan was officially opened in Bishkek. 77 years ago Mynzhasar Mangitaev (1937-2011) was born. He was a composer, Laureate of the State Prize, Honorary Artist, People’s Artist of the Republic of Kazakhstan and the author of hundreds of symphonies. He was born in Chimkent region. Graduated from the Alma-Ata Institute of Arts, studied compositions of K. Kozhamyarov (1965). From childhood he was interested in music. Being a child Mynzhasar liked singing folk songs. However, in a small village he had no opportunities to develop fis talant. He wrote his first compositions when he was a teenager. His works were recorded and sent to Evgeniy Brusilovskiy. The famous composer appreciated his potential. in 1960 Mynzhasar was accepted to the Kurmangazy Conservatory without special training. Mangitaev’s art varies in genre. Mynzhasar Mangitaev taught in a musical-circus college, headed musical editorial staff at the Zhasushy Publishing House, repeatedly was appointed the Executive Secretary of the Union of Composers. In the last years of his life he was completely devoted to the work on the "Otyrar Shaikasy" opera. For the first time he created such a detailed musical composition but didn’t produce it. He was awarded the "Kurmet" Order.